You can create a gif animation from your photos. 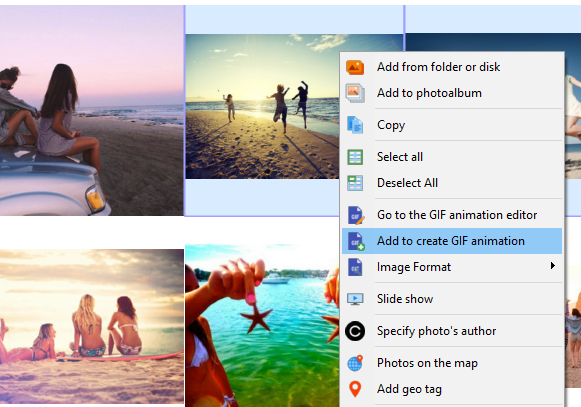 To do this, select several photos from the photo album and click “Add to create a Gif animation” and then “Go to the Gif Animation Editor“. To select the image size in the animation, click “Image Format“. The Gif Animations editor opens. 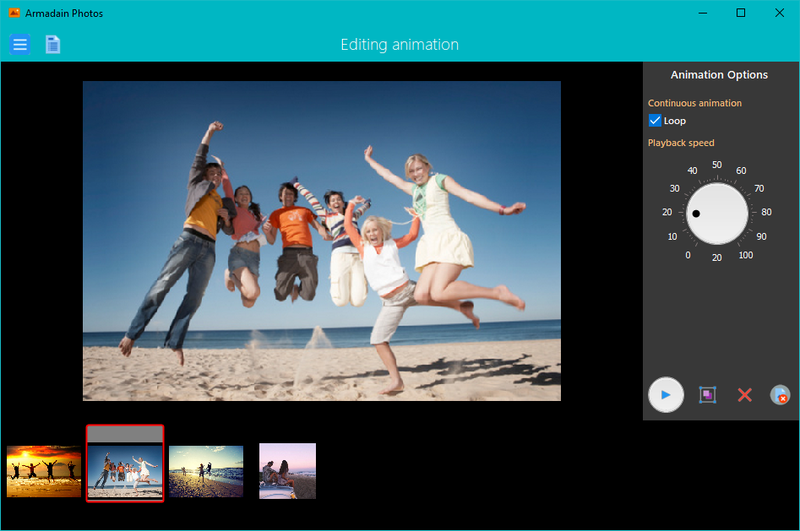 In the editor, you can adjust the speed of the images, change the order of photos, delete unnecessary ones. The settings panel allows you to set Gif animation parameters. If there is a tick in the field Looping, then the animation will be infinite. If the tick is not checked, then the animation will scroll through all the photos and end. The selector allows you to select the animation speed in milliseconds. You can also change the order of images by clicking the “Move” button.